The GRAS SAF / ROM SAF Report series provides additional information related to scientific investigations and the underlying algorithms used in our radio occultation processing code and the ROPP software package. These documents are Copyright material. The Metop-C satellite was launched on 7th November 2018 into a sun-synchronous polar orbit. The first radio occultations from the GRAS instrument were received less than a week after this. Level 1 data (including bending angles) have been made available from EUMETSAT Secretariat from the very beginning. The ROM SAF have processed these data and calculated refractivity profiles - these profiles have been calculated for all the bending angle profiles, including the very earliest measurements. The Level 1 and Level 2 data are being disseminated via the EUMETCast system and GTS. Operational dissemination began on the 7th March 2019. Overall the quality of this data is very similar to that from Metop-A and B, as might be expected from systems which use the same hardware and software. Very slight differences between the satellites exist, and these will be highlighted. The ROM SAF plans to run two long GPS radio occultation (GPS-RO) reanalyses for the period 2007-2015. Temporal averaging of the gridded, three-dimensional reanalysis fields is an alternative way of producing level-3 climatologies based on GPS-RO data. In preparation for this activity, a series of experiments have been performed using the ERA5 reanalysis system. The experiments assimilate reprocessed GPS-RO datasets from both UCAR and the ROM SAF, and the operational GPS-RO data from the period. The impact of a subset of other measurement types has also been tested. We have found that the mean bending departure differences between the GPS-RO datasets in the vertical interval between ∼ 10-30 km are around 0.1 %, which is about a tenth of the assumed measurement/forward model uncertainty. Consequently, the zonally averaged temperatures computed from the reanalyses are reasonably consistent below 5 hPa. We have also found that assimilating AMSU-A channel 14 radiances without bias correction is crucial for correcting large model biases around 2 hPa. Furthermore, these model biases appear to be in the GPS-RO null-space. Therefore, we conclude that AMSU-A channel 14 should be included in both of the proposed ROM SAF reanalyses. It is noted that one internal (non public) ROM SAF dataset has poorer bending angle departure statistics, because quality control flags are not set correctly, but this is resolved in the later dataset. The ROM SAF data numbers tend to be lower than the operational GRAS data from the period. The reasons are understood and they will be resolved in the official version 1 (V1.0) of the ROM SAF Climate Data Record (CDR V1.0) reprocessing. The physical basis of the wave optics simulation code included in ROPP-9 is described. The ROPP wave optics simulation code is based on a multiple phase screen (MPS) approach which is well known, and so it is only reviewed briefly. A new method for computing the phase and amplitude at the LEO satellite, given the phase and amplitude at the final phase screen, is described in detail. More specifically, it is shown that the solution at the LEO can be computed efficiently in terms of standard Fresnel integrals. The simulations are tested by inverting the phase and amplitudes with a Full Spectrum Inversion (FSI) approach to produce bending angle profiles, and then comparing these with a one-dimensional geometrical optics forward model. Some errors for large bending angle cases in the lowest 2 km are identified, and improvements for implementation in ROPP-9.1 are presented. The results from a recent set of forecast impact experiments with GPS radio occultation GPS-RO) measurements are summarised. Although the main impact of GPS-RO is in the upper-troposphere and stratosphere, it is shown that the data has some positive impact on tropospheric humidity and winds, particularly in the southern hemisphere. Spatial maps of GPS-RO bending angle departure statistics for the lowest 2 km are presented, and it is suggested that some bias features may be related to ECMWF humidity forecast bias, rather than just observation or forward model errors. The GPS-RO impact does not appear to be sensitive to increasing and reducing the assumed errors statistics in the troposphere, but increasing the assumed errors statistics in the stratosphere does have a positive impact. The relevance of these results to ongoing ROM SAF activities is discussed. The ECMWF numerical weather prediction (NWP) system has been used to estimate the GNSS radio occultation bending angle error statistics from Metop GRAS and COSMIC measurements. These statistics have been mapped to refractivity space using a linear Abel transform. We have found that the broader vertical bending angle error correlations for rising GRAS measurements account for most of the difference between the rising and setting refractivity profile statistics. The senstivity of the refractivity results to bending angle error correlations is demonstrated and discussed. The importance of modelling the refractivity error correlations correctly is emphasised. The results also suggest that the refractivity error model used in the ROM SAF 1D-Var should be revisited. This document presents the outcome of a survey that was conducted by the ROM SAF in cooperation with EUMETSAT to determine user requirements for ionospheric Radio Occultation (RO) products; thus establishing a general guideline for the potential delivery of GNSS RO observables and products at ionospheric altitudes. The main focus is on possible EUMETSAT Polar System-Second Generation (EPS-SG) RO products, but the outcome is also relevant for other RO instruments. The document compiles the answers of the users and their concerns. It is however clearly noted that the RO instruments on EPS-SG focus on the neutral atmosphere, and ionospheric sounding capabilities are an add-on that do not drive the instrument or programme. Nor should suggested requirements be seen as a commitment by EUMETSAT or the ROM SAF to meet these requirements. This document presents the implementation of a technique intended to identify the presence of reflected signals in GNSS radio-occultation (RO) data. Typically, the reflection occurs at the Earth surface level, or off atmospheric layers very close to the surface. The technique is based on supervised learning methods, in particular on Support Vector Machines (SVM). The report briefly describes the SVM approach, and how it is implemented for detection of reflected signals in RO data. Other aspects described in this document are the validation of the technique and computing requirements to run it. The document includes a preliminary discussion about the na ture of these reflection events, based on the statistics of occurrence over land and ocean, seasonal features, analysis of correlation with certain atmospheric or RO conditions, and comparative performance of the ECMWF model when reflections are captured or not. A COSMIC dataset has been modified by IEEC and the Met Office to include a reflection flag. The flagged measurements are composed of a direct and reflected signal. They have been detected automatically using a technique developed by IEEC. The error statistics of the COSMIC data subsets with and without the flag activated have been computed in data assimilation experiments. It has been confirmed that the bending angle departure statistics of measurements in the troposphere with the flag activated tend to fit ECMWF forecasts more closely. However, the variability of the observations in the flagged subset is much lower, and the flag is more probable for colder, drier tropospheres. The improvement in the departure statistics varies spatially, indicating that a simple scaling of the bending error statistics used to assimilate the data when the flag is activated, is probably not appropriate. This will complicate any use of a single on/off flag in NWP applications. ECMWF hosted EUMETSAT’s Fifth ROM SAF User Workshop (UW5) on Applications of GPS radio occultation measurements, on June 16-18, 2014. The workshop was attended by around 30 international scientists, with expertise in both GPS radio occultation and climate applications. It followed the standard format of a series of presentations, followed by a day in NWP and climate working groups, and then a plenary session. The presentations and program from the 5th user workshop are available at the ECMWF workshop page. The value and continued importance of GPS-RO in both operational NWP and reanalysis applications was emphasised at the plenary session. Overall, this was a useful and enjoyable workshop, which benefited greatly from the diversity of the participant’s research interests. During the development of the ROM SAF Level 3 gridded climate data processing software, a pro-nounced wave pattern artefact was frequently found in plots of the standard deviations of ECMWF model data. It was exclusively a problem for model data, and did not affect the observed RO data. The wave pattern was most easily discerned at low latitudes and above an altitude of 20 kilometers, and there was a seasonal variation with a tendency for the wave pattern to become stronger in the summer hemisphere. It is here shown that the wave pattern artefact is caused by the reduction of variance at the interpolation points as a result of the weighted averaging prescribed by the interpolation from model levels to intermediate points. It does not depend on the detailed choice of interpolation function. It is also shown that the dependence of the wave pattern on latitude, altitude, and season is governed by the mixing of model levels at fixed altitudes along zonal latitude bands. We propose to use log-spline interpolation of refractivity as a remedy for this problem. This intro-duces an additional source of variability at the interpolation points, which is enough to substantially reduce the problem even though it is not fundamentally resolved. The interpolated refractivity profile is also used as input to the Abel transform, at a higher vertical resolution compared to the standard bending-angle forward model. Spline interpolation is also used to interpolate ECMWF model temperature, humidity, and geopotential heights from model levels to intermediate altitudes. The solution described in this report has been implemented in the ROM SAF Level 3 processing software, romclim-1.1, used in the generation of data products GRM-17,…,23, as well as plots at the ROM SAF climate monitoring web pages. The artefact described in this report, and the chosen solu-tion, only concerns the ECMWF model data used as a reference, not the observed RO data. The Radio Occultation Processing Package (ROPP) includes a two-dimensional (2D) bending angle operator. This has been tested in the ECMWF numerical weather prediction system, with a view to operational implementation possibly during 2014. This report outlines how the 2D operator is implemented at ECMWF. Issues related to parallel computing architectures are discussed. We explain why problems associated with the 2D “occultation plane” spanning more than processor (or core) do not arise at ECMWF. This is because the observations are split into “pools” containing roughly equal numbers of each observation type for load-balancing, and the forward modelling is decomposed into distinct horizontal and vertical interpolation tasks. Recent results with the 2D operator are presented showing an improvement in the bending angle departure statistics with respect to observations, indicating that the forward model errors are reduced. However, the additional computational cost during the 4D-Var minimization is large. New ideas to reduce the computational cost of the ROPP 2D operator are discussed, and a new approach is suggested based on the incremental formulation of 4D-Var. The impact of single frequency processing of GPS radio occultation (GPS-RO) measurements on numerical weather prediction has been investigated. Metop-B GRAS measurements have been degraded by adding 6 microradian and 12 microradian random Gaussian noise. The additional noise is most significant in the stratosphere, because to first order bending angle values fall exponentially with height. The degraded data have been assimilated in a system where all other GPS-RO measurements are restricted to a latitude band between 40 North and 40 South. The impact of noisy data has been compared with experiments where the weight of the Metop-B GRAS measurements in the stratosphere has been increased by reducing the assumed standard deviation of the observation errors to 1.5 microradians. The main forecast impact is on temperature biases in the stratosphere. The results show that the increase in noise levels will have a noticeable impact on the mean temperature analysis, particularly in polar regions and above 5 hPa. The bias corrections applied to satellite radiances are also affected. For example, the bias corrections applied to channel 13 of Metop-B AMSU-A differ by  0.15 K. Increasing the noise levels degrades the mean of the short-range forecast departures with respect to radiosonde temperature measurements above 200 hPa. The root-mean-square (RMS) temperature errors are degraded by  1% at 30 hPa for the day-1 to day-5 forecast range because of the additional noise. However, there is no degradation in RMS at 100 hPa. The introduction of vertically correlated errors does not affect the main results. This report describes the modelling of the L1 and L2 bending angles by means of a simple idealised ionosphere consisting of a single Chapman layer. There are three main reasons for doing this: - The desire for an improved interpolation/extrapolation of the L1 – L2 bending angle difference where either signal (but especially L2) drops out; - The wish to make retrievals using observational data that are closer to what is observed, rather than the ionospherically corrected neutral bending angles that are usually used; - It allows the sensitivity of the observed bending angles with respect to the unknown ionospheric parameters to be assessed. Sensitivities to horizontal gradients and to the shape and size of the model ionosphere are briefly examined before calculating the bending angles induced by a single Chapman layer. The feasibility of making retrievals directly with L1 and L2, and with L1 alone, are studied in a simple ‘toy’ system, and the results are compared against retrievals made in the same system with the usual ionospherically corrected bending angles. All GRAS occultations within a five day period have their L1 – L2 bending angle differences modelled by this theory, and the derived ionospheric parameters are examined. Areas for further study are suggested. This report reviews the calculation of undulation – the difference between the (WGS-84) ellipsoid and the (EGM96) geoid – in ROPP. The undulation value at the nominal RO profile location is subtracted from the Impact Height to obtain the height with respect to the geoid of any point in the profile. For practical purposes, the resulting geoid height can be considered to be the same as height above mean sea level. The current method of calculating undulations (or geoid heights in ROPP) uses a full spherical harmonic expansion which is both complex and cpu-intensive. An alternative grid interpolation method has been developed which is shown to be significantly simpler in code terms and so substantially quicker to run, and without any practical loss of accuracy when compared to the present full calculation method. The interpolation method is proposed to replace the current undulation code in ROPP. The current bending angle operator in the ROPP package (ROPP_FM module) is based on Healy & Thepaut (2006). This operator is also used operationally at the Met Office, ECMWF and other NWP centres. 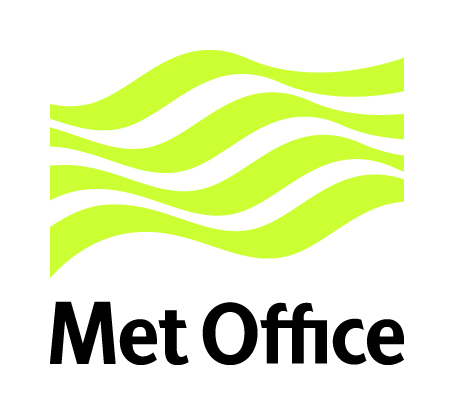 The Met Office bending angle innovation statistics have shown features which can be attributed to shortcomings in the assumption of exponentially varying refractivity between model levels when the spacing is large. However, when the level spacing is small, the exponential assumption is acceptable. Similar features can be observed in the refractivity statistics. This report aims to address these issues by proposing a more physical approximation to the refractivity as a function of height between model levels which can be used in the Abel integral to forward-model bending angles. Improvements in both the refractivity and bending angle biases are demonstrated, along with several approaches for implementing an improved bending angle calculation. This report reviews the geodesy calculations in ROPP, in response to concerns raised by the ROPP2.0 beta reviewer in 2008. Various expressions for the surface gravity, effective radius, radius of curvature and geopotential height are compared, and the impact of the differences in RO applications is assessed. Supporting sensitivity studies are reported. A simple model is developed that sheds light on some of the findings. The Radio Occultation Processing Package (ROPP) software includes functionality for users to process radio occultation data to derive atmospheric bending angle and refractivity profiles. This report presents refractivity and bending angle profiles processed using the ROPP (v4.1) tool ropp_pp_occ_tool. This serves to illustrate the use of ROPP for occultation processing and validate its results. Note that results presented here referring to ROPP-4 (v4.1) also apply to the ROPP-5 (v5.0) user release distribution. This paper presents results of the assimilation of Global Positioning System (GPS) Radio Occultation (RO) bending angle data from CHAMP, FORMOSAT-3/COSMIC, and MetOp-A GRAS in the ECMWF global re-analysis ERA-Interim. We find that GPSRO data present the highest daily assimilation percentage rate among all the various types of observations, suggesting that these data are readily usable by today's re-analysis systems. Over time, except when additional GPSRO data are introduced, the ERA-Interim short-term forecasts (background) are found to be stable as compared to GPSRO data, and so are the ERA-Interim temperatures as compared to radiosondes. This suggests that the GPSRO data are potentially as stable as the verification used here, or at least to the extent that the possible quality variations in GPSRO data assimilated in ERA-Interim appear invisible when compared to radiosondes. We observe very good consistency between all six COSMIC receiver data. Small differences between COSMIC and CHAMP (GRAS) data are observed in the lower troposphere (stratosphere). The mean effect of adding GPSRO data in ERA-Interim is to reduce temperature biases with respect to radiosondes in the ERA-Interim background by warming the upper troposphere and lower stratosphere by about 0.1--0.2~K in all hemispheres. We also find hints of a drying effect in the mean water vapor content in the tropics when GPSRO data are introduced. The fit to upper tropospheric wind observations in the Southern Hemisphere and the tropics is also improved when GPSRO data are present. Overall the GPSRO data act as references via the variational bias correction to correct satellite radiances. Removing the GPSRO data from the ERA-Interim system leaves the latter more prone to fitting the warmly biased aircraft data. All these effects are mostly apparent when large amounts of GPSRO data started being assimilated, end 2006, with the introduction of COSMIC data. (Poli, P., Healy, S. B. and Dee, D. P. (2010), Assimilation of Global Positioning System radio occultation data in the ECMWF ERA Interim reanalysis, Quarterly Journal of the Royal Meteorological Society, 136: 1972-1990. doi: 10.1002/qj.722). The ROPP 1dVar processing is used to perform retrievals using one day of GRAS refractivity observations and ECMWF background data. Results illustrate the ROPP functionality and the output diagnostics generated. Tests using different configuration parameter settings and the error descriptions for optimal solutions are discussed. Results processed using COSMIC occulations and Met Office forecast model background data are also presented. When forming an area-weighted mean within a latitude grid box from data given on a regular latitude-longitude grid, cosine weighting is applied in order to compensate for the meridian convergence toward higher latitudes. In the scientific literature on climate applications of RO data one can also find examples of cosine weighting being used to form grid-box means from irregularly distributed data. In this report, we point out that cosine weighting assumes that the data to be weighted have a distribution that is uniform per degree of latitude. If the data are randomly, or quasi-randomly, drawn from other distributions, an error is made that may introduce a bias. For actual RO climate data, errors due to under-sampling of longitudinal and temporal variability act to hide any biases caused by the use of cosine weighting. Hence, the resulting effect of using an alternative weighting strategy is mostly small. Nevertheless, the use of cosine weighting of data appears not to be appropriate for the irregularly distributed RO data. An alternative spatial averaging method is devised that provides a better approximation to the area-weighting integral with fewer assumptions concerning the latitudinal distribution of observations. The sensitivity of ECMWF numerical weather prediction analyses to the empirical refractivity coefficients and the introduction of non-ideal gas effects in the bending angle operator have been investigated. A review of the literature on the refractivity coefficients suggests that the uncertainty in the values is probably larger than has been recognised. The results reinforce the need for new measurements of the refractivity coefficients at radio frequencies. The ropp_io module within ROPP contains routines to enable thinning of Level 1b (bending angle), Level 2a (refractivity) and Level 2b (meteorological variables) data. Thinning aims to reduce the amount of data without reducing the information content. GRAS SAF Report 01 presented some possible methods for thinning 1-dimensional (profile) data. It was discussed that a typical bending angle profile does not contain more than about 250 pieces of information, and it is therefore desirable to reduce the data volume to about this number from up to 5000 measurements obtained during an occultation. A list of 247 set impact heights were defined for use in the GRAS SAF thinned BUFR productsto meet a strong user requirement for NRT data on set levels. These heights are based on the criteria of having a maximum of four points per Fresnel diameter. It is possible to perform thinning using the ROPP software for any pre-defined set of impact heights. This report documents the thinning algortitm as implemented in ROPP. The ROPP pre-processor module ropp_pp includes routines to perform an Abel transform to derive a bending angle profile from model refractivity data and invert a corrected bending angle profile to derive refractivity. This report describes the Abel inversion and Abel transform calculations included within ROPP. The sensitivity of ropp_pp and ropp_fm results to the choice of algorithm used is discussed. The ROPP 1dVar retrieval has been tested using the Levenberg-Marquardt method (LevMarq) to solve the 1dVar minimisation problem. Results are compared with the performance of the ROPP-specific minimiser minROPP. Tests are conducted using synthetic profiles based on ECMWF background data and real observed profiles using Met Office background data. In some cases LevMarq is found to produce 1dVar solutions with smaller cost function values and which deviate more from the background profiles than minROPP for a given set of convergence criteria. The minROPP routine is typically three times faster than LevMarq however. The most suitable convergence criteria for minROPP are discussed. It is recommended that both minimisers are supported in the ROPP software, with users able to select the most appropriate algorithm for their own particular need. A summary of the refractivity calculation used in the ROPP forward model is provided. Several expressions are available for calculating a refractivity profile from background pressure, humidity and temperature data. Results using an established two-term expression (Smith and Weintraub 1956) and a more recent three-term expression (Rueger 2002) are presented. It is recommended that the Rueger (2002) expression is implemented by users for GPSRO processing when provided in future versions of the ROPP software. The error function erf is used in the Abel transform as part of the ROPP bending angle operator. It has been suggested that this is computed using a polynomial approximation to avoid the cost incurred by calling an external DCDFLIB library function many times while performing the 1dVar processing. This document describes the polynomial expression and the corresponding tangent linear and adjoint codes. Test results demonstrate that the approximation is a suitable replacement for the DCDFLIB function. It is strongly recommended that the polynomial approximation is implemented by users for GPSRO processing when provided in future versions of the ROPP software. A new ROPP-specific minimiser minROPP has been developed as part of the GRAS-SAF for implementation in the 1dVar retrieval processing. A new minimiser routine ropp_1dvar_minropp} replicates the current third-party minimiser M1QN3 to minimise the cost function using a quasi-Newton method with diagonal scaling. This document summarises the minimisation processing and outlines the new ROPminimiser. Test results demonstrate that minROPP is a suitable replacement for M1QN3. It is strongly recommended that minROPP is implemented by users for GPSRO processing when provided in future versions of the ROPP software. A summary of the geodetic calculations used in ROPP to relate the geometric and geopotential height scales is provided. This document describes the most appropriate functions to use to compute height scales relative to the WGS-84 reference ellipsoid. The sensitivity of results to the choice of algorithm is shown. Radio occultation data tends to be oversampled in respect of the ac tual resolution and information content of the dataset. Thinning aims to reduce the amount of data without reducing the information content. A number of 1-dimensional thinning algorithms are presented and their strengths and weaknesses discussed.